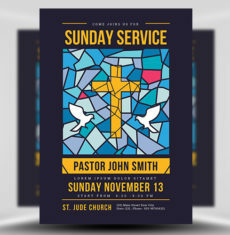 Communication is a vital and essential way to grow and connect with your congregation by reminding churchgoers to attend weekly worship services or special church events. In this busy world, filled with business and family obligations and tempting distractions, reaching out to parishioners is as important as ever. 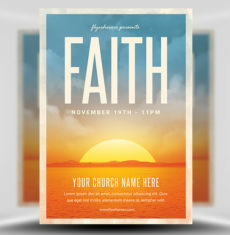 Because we realize that pastors and church administrators are busily attending to their flocks, FlyerHeroes makes it simple and easy to create a church flyer. 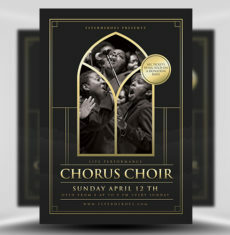 Our design staff has created a tasteful and elegant church flyer design that is easily customizable. 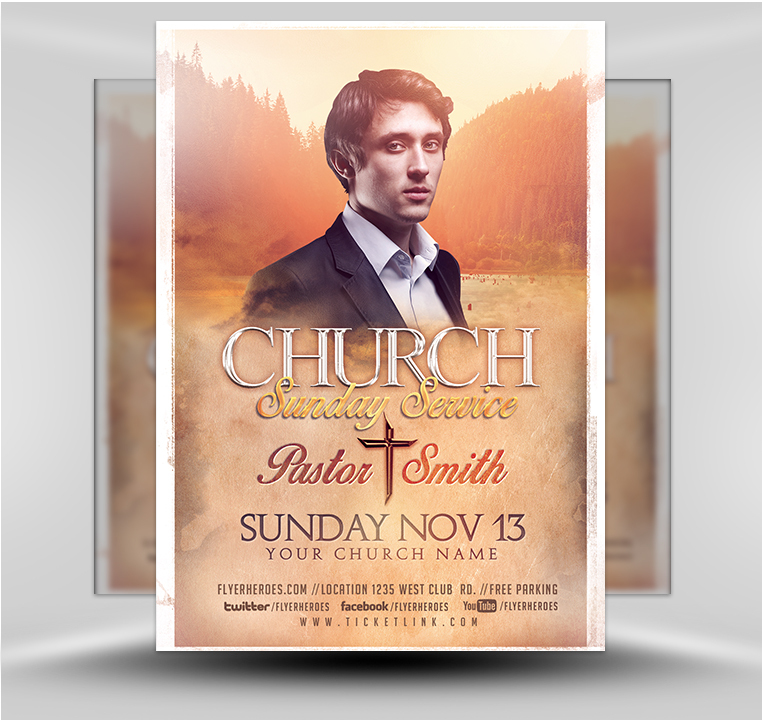 Using the template our designers created especially for church services, you can quickly enter your church’s name, pastor’s name, the date and time of church services, and more. 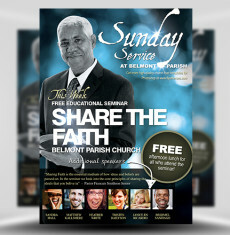 The layout is clean and uncluttered, with plenty of room to spare for including every essential church service detail. 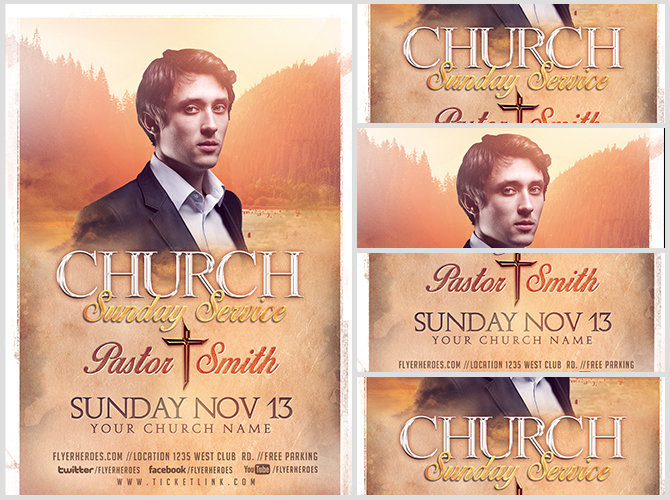 We know you will be proud to post these posters because the quality is professional looking and strikingly attractive. 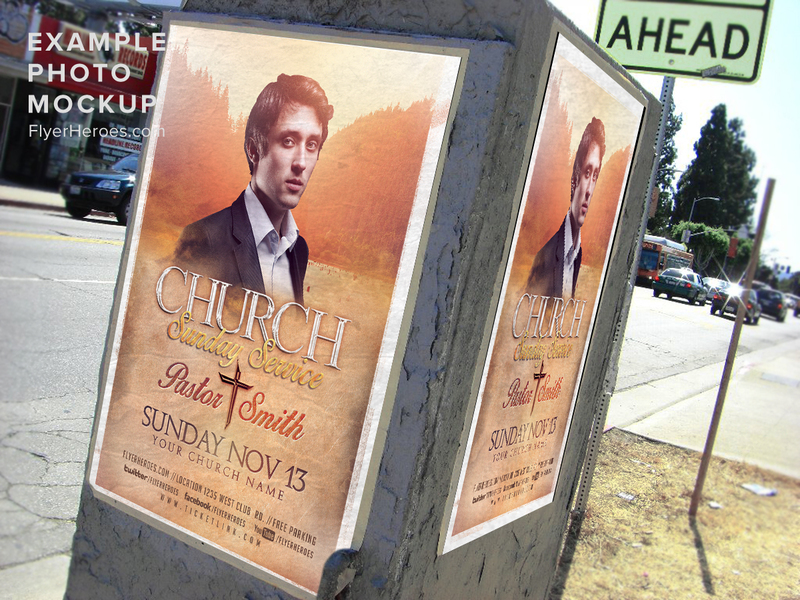 Best yet, you can promote worship service after worship service with this one purchase. 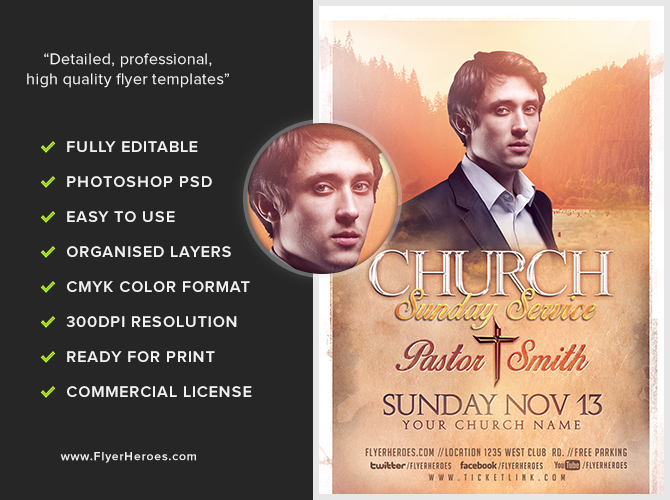 All premium template buyers are granted a 100% royalty-free license to use this template for unlimited commercial and private use.